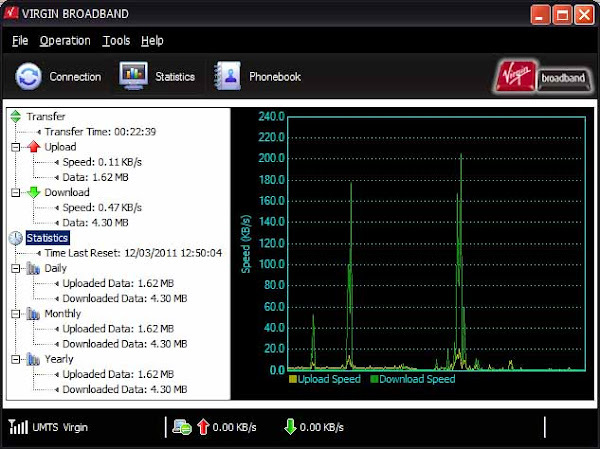 This morning we purchased a pre-paid mobile broadband SIM card from Virgin. We were looking for a mobile carrier that had the signal coverage in the area we will be temporarily living in prior to our departure for the UK. Virgin had the cheapest plan even though it uses the Optus network. $10 purchased 300MB valid for 30 days with the ability to “top-up” on line thereafter. I fitted the SIM card into the E169 modem purchased on eBay and plugged it into the netbook, then followed the configuration process. 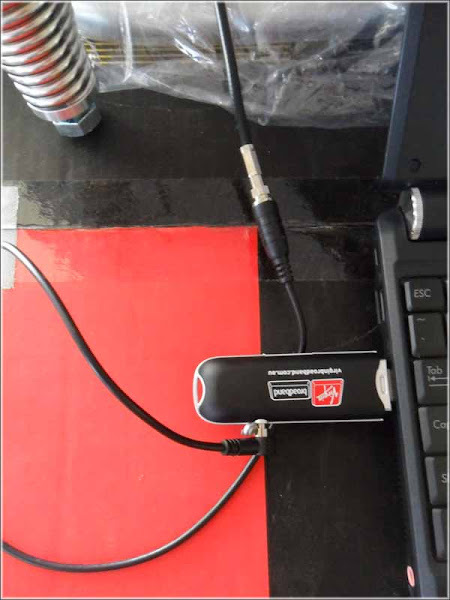 The initial connection had a signal strength of UMTS 96% and the speed was reported at 7.2MHz. Late yesterday I bought the “pigtail” cable that connects the antenna to the modem. I took the antenna with me to make sure everything connected correctly. The technician at the shop looked at my antenna and commented “You have a good antenna there, it covers the full mobile phone spectrum!” I replied “I hope so; you sold it to me in 2009!” After the first test with the modem then connected the pigtail to the antenna and plugged it into the modem. 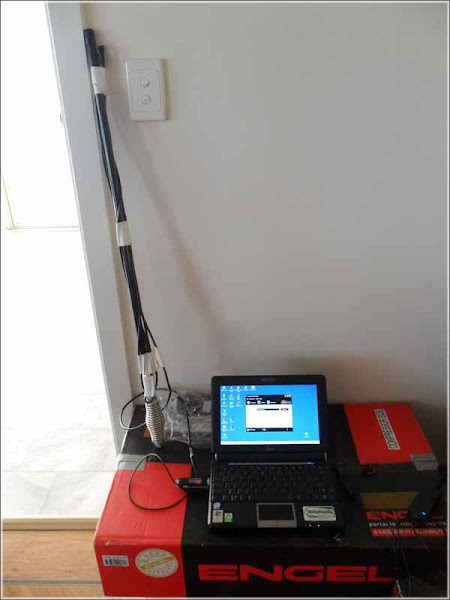 The external antenna will go on the roof and the USB modem will plug into a router to give us a local wireless network throughout Waiouru.